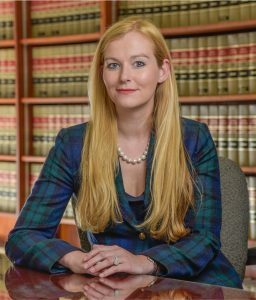 Alexandra concentrates her practice in the areas of beverage alcohol law, commercial law and litigation, government regulation, and environmental law. Alexandra represents a variety of national and regional clients, including retailers and wholesalers, and a national hotel chain in the field of beverage alcohol; providing counseling on licensing, compliance, and disciplinary matters with the New York State Liquor Authority. She has also represented a number of clients in the racing and gaming industry, including casinos and racetracks. Alexandra has a broad range of experience in the field of environmental law, including water contamination, land use, and related issues, and was involved in a cost recovery action brought under Superfund on behalf of a municipal client. Her other practice areas include commercial litigation and arbitration, and government and administrative law. Prior to joining Nolan Heller Kauffman as an Associate in 2014, Alexandra was a summer associate with the firm. She attended Johns Hopkins University and Villanova University School of Law, where she was a Special Projects Editor of the Moorad Sports Law Journal. Law School: Villanova University School of Law (J.D. 2014). College: Johns Hopkins University (B.A. 2011, International Studies).